The Korg SP 280 is one of the great examples of a quality affordable digital piano that can be found in a market flooded with models full of bells and whistles and confusing specifications. Korg has always been one of the dependable makers of digital pianos, and the SP 280 represents an improvement and the next step after the SP 250 in their stage piano series. After sitting down with this piano for just a slight session, I have to say that I came away completely impressed. This model packs a lot for the price that it is being offered, and you certainly can find this piano for a number of packaged deals at various online retailers. Below, compare the affordable Korg SP280 to some of the best pianos in its class based on things like weight, price, and customer reviews. One of the first things you notice about the SP 280 is its interesting and unique shape and size. The piano seems to even have an oval shape about it, with rounded edges on the sides and a rounded back. 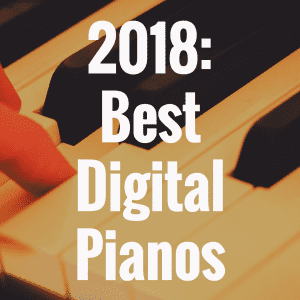 The shape of the piano is intriguing and almost seems to draw you in when you compare it to the drab, dry and uniform presentations of digital pianos seen today. For me, it is certainly a welcome change, and something that I think more manufacturers of pianos should experiment with, many of them probably being a little bit too scared to stray from what is considered the norm. The piano measures out at almost 53 inches long, 16 inches deep, and almost 31 inches standing off the ground. The SP 280 is surprisingly light, weighing in at just under 42 pounds. 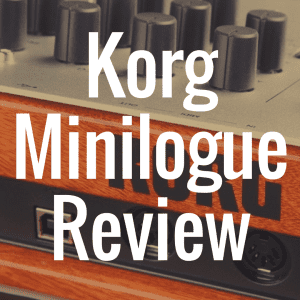 This is considerably lighter than some of Korg’s other models, such as the LP 180 and 380, which weigh in at about 80 pounds. There are a number of wonderful sounds housed on the SP 280. While the piano holds an assortment of 30 different voices and tones, its highlighted feature is certainly the grand, acoustic, and concert piano tones. 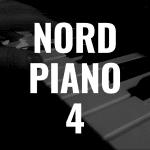 The Korg sound is one of the best you can find on the market, and that is completely understandable once you realize the piano has been sampled from one of the best on the planet: a Steinway. 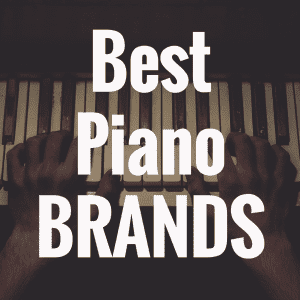 Steinways are legendary pianos that have been around since the middle of the nineteenth century, so their sound is definitely proven and one of the best to borrow from. 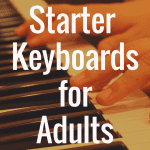 All in all there are 5 acoustic piano sounds, 1 electric grand, 6 amazing electric pianos, and a bevy of other instruments, including marimbas, vibraphones, strings, organs and harpsichords. One of the other amazing features of the SP 280 is the awesome collection of demo songs on board. 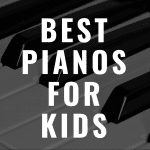 There are 10 songs that are meant to demo some of the best sounds on the piano, with the other 20 songs giving a good showing of the full capability of the piano. Personally, I can find myself sitting back and just listening to some of the demo songs and their amazing sound a little bit too much–they are that good. The Korg SP 280 is a full range, full length 88 key digital piano, so no piano player will have to worry about missing octaves or not getting the full grand or stage piano experience. 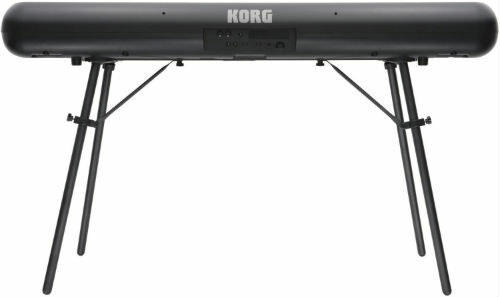 The keys are backed by Korg’s Natural Weighted Hammer (NH) action keyboard, certainly one of the better key actions you will find on the market, and surprisingly placed on a model like this. The Natural Weighted Hammer action is the same key action you will find on high end Korg models such as the Krome 88, a synthesizer-music workstation that goes for around $1500 or so. When I sat down to play it, I certainly felt the weight of the keys under me, and there was no plastic or cheap feeling to it. In addition to the key action is the engineering of the sound generation aboard, which is Korg’s Stereo Piano system, which layers the sampled Steinway sounds and produces them exactly based on the way you play the piano. The SP 280 also comes with 120 notes of polyphony, so there should not be any worry about dropped notes when functions such as layer, split, or duet are combined. The Korg SP 280 has a number of key features that set it apart from the competition, as well. One of the most noticeable is the amplification of the considerably loud double 22-watt speaker system. I think it is safe to say that most digital piano offerings don’t come with this much sound, and with a system like this you should never have to worry about your piano being drowned out amidst a collection of other sounds, say in a concert or band scenario. The piano also comes with a wonderful metal stand that can be easily assembled and is a welcome change from the bulky stands that many other digital pianos come with. The stand is great because it does not take up a considerable amount of space, and the optional PU-2 pedal unit will easily fit under the set up in case you choose to purchase that as part of a package. The SP 280 also comes with convenient Line In and Line Out jacks which allow you to connect your portable audio player or mp3 device (such as iPod or iPad). You can also play your music through the stereo system, or connect to amplified speakers or recording device. Three suitable digital pianos to compare with the SP 280 would be the Korg SP 250, Yamaha P-105, and the Yamaha P-155. The SP 250 is the easiest comparison to make, being that it comes from the same brand and is in the same series. With that said, the main difference between the two is the reduction in size and weight, which was a serious point of importance for the engineers, who shaved off about 30% weight from one model to the next. It seems, however, that Korg traded a little bit of engineering for weight when they replaced the beautiful high end Real Weighted Hammer Action (RH3) system seen on the SP 250 with the Natural Weighted Hammer action found on the SP 280. Surprisingly as well, the SP 250 is known as one of the best sounding digital pianos for its price range, and its sound is a little bit better than the SP 280’s in my opinion. A comparison with the Yamaha P-105 at first glance appears to be pretty level. The measurables of the two pianos are fairly similar, with the weight of the SP 280 being understandably greater when taking the stand into account. The Graded Hammer Standard (GHS) key action found on the P-105 is certainly dependable, and is comparable with the NH system on the SP 280. The Pure CF Sound Engine is probably a little bit better than the Stereo Piano system on the Korg, one being based off a real Yamaha CFIIIS concert grand piano, the other off of a Steinway. At the end of the day the sound best suited to the user’s ear will make the ultimate decision here. When you put the Korg SP 280 side by side with the Yamaha P-155, I find that the SP 280 outpaces its counterpart in a few key areas. The P-155 seems to downgrade having just the Graded Hammer (GH) key action system, which is almost like the bare bones option Yamaha can provide for their models without installing sticky, toy like keys. It certainly is no match for the NH system of the Korg. Also, Yamaha dates things back by lacing the P-155 with their AWM Dynamic Stereo Sampling tone generation system. It certainly is not a terrible option, but in my opinion it is not as classy and advanced as Yamaha’s CF series. The pianos weigh just about the same and contain around the same level of polyphony, so in the end it is going to be the engineering and the price that set these two apart. Even with a list price of around $900 you can easily find the Korg SP 280 for prices and bundles close to $700 on Amazon. 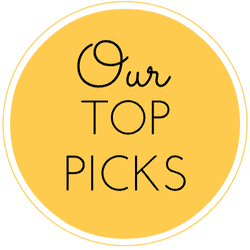 And for more great reviews of pianos, be sure to bookmark our homepage, where we continue to update our growing list of reviews.